But with this very passion, a dangerous trend rises in the name of enthusiastic expression. It has been noticed in various fanbases of an aggressive mob effect, us vs them mentality on those that are deemed “not truly a fan”, or those judged as simply hopping the bandwagon because of hype. The state of belongingness is now limited to those that “only play the games”, or “read all the books” before their interest hit the mainstream publicity. With this, many fans have been ready to cast out those they believe do not belong. A recent event in SM Trinoma, the PGF Globe Event, shows the light of this disturbing behavior, when fans of a Mobile MOBA game, Mobile Legends, bashed on a cosplayer who cosplayed as one of the most iconic Hero in the game to date, Ruby. The hate on the cosplayer was surprising just on the first day alone. Accusations of merely being face-value, all for attention, and not being a real player of the game poured out from supposed ML players. The bashing, however, was criticized by many on social media, even the official group in the Philippines for Mobile Legends players, pointing out that whether the cosplayer was a gamer or not, she had every right to choose whoever she wanted to cosplay. 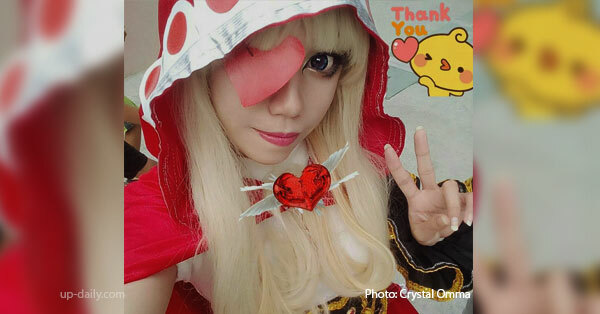 Despite the disheartening and undeserved criticisms, Crystal Omma, the cosplayer, went on to cosplay on the second day with her impressive Ruby cosplay costume. A reminder to us all: it is okay to be passionate about your interests, your fandoms, and your games. But it is not okay to shun those who think are not true fans. A community is meant to share their love for their causes and open their arms to those who show interest, not condemn and limit the circle to only what is considered an elite few. Why not let those who aren’t in the games or fandom know what it’s like to be in it? Spread the love, anyone can be a part of something, and can love something just as much as you do.